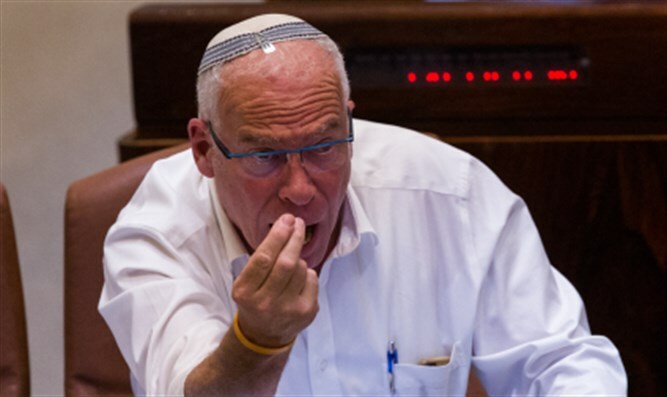 Minister of Agriculture Uri Ariel (Jewish Home) slammed the Security Cabinet on Monday for its decision to push off deliberations on the proposed annexation of Maale Adumim until after Prime Minister Netanyahu meets with the new American president, Donald Trump. Speaking with Army Radio, Ariel also expressed skepticism over pledges on Sunday to open up construction in Jerusalem and Judea and Samaria. Ariel called the decision to delay legislation to annex Maale Adumim “a mistake”, saying as a sovereign nation, Israel had no obligation to coordinate its actions with any other powers. Maale Adumim, home to 40,000 Israelis, is just east of Jerusalem, and is widely considered to be a “consensus community”, enjoying support from both the Israeli left and right. On Sunday the Security Cabinet voted unanimously to delay discussion on a bill to annex Maale Adumim backed by Land of Israel Lobby chairman Yoav Kish (Likud) until after the meeting between Trump and Netanyahu, expected in early February. The two leaders spoke Sunday night (Jerusalem time), in a phone call just under 30 minutes long Trump later described as “very nice”. During the conversation, Trump invited Prime Minister Netanyahu to meet with him in Washington DC next month.